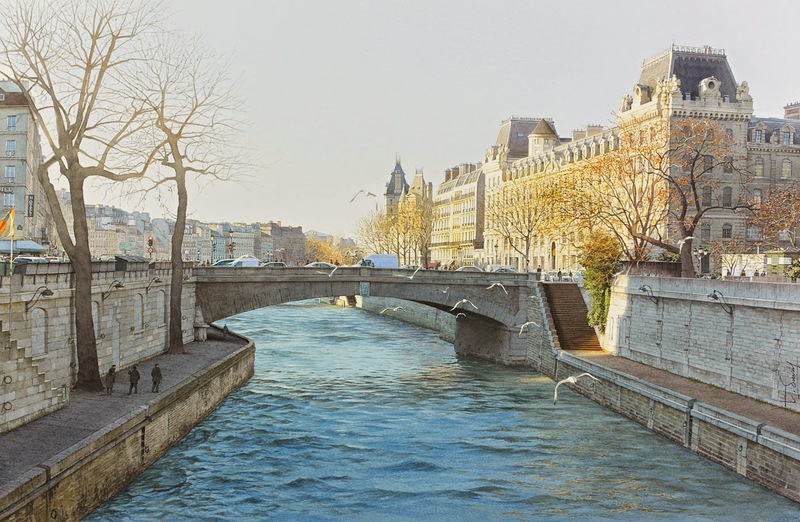 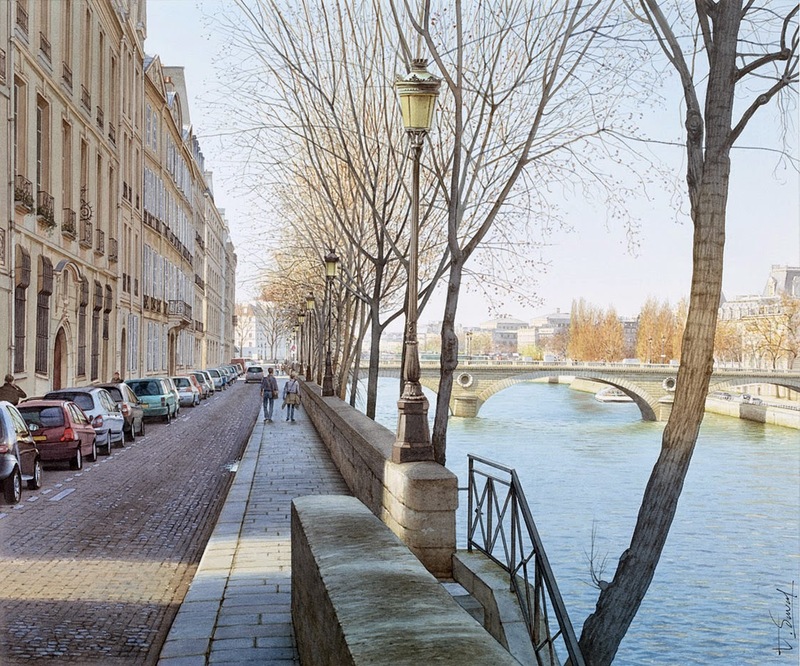 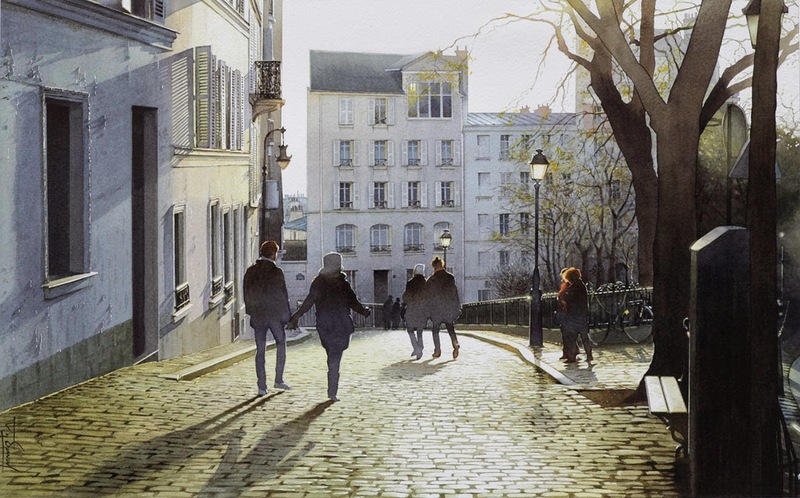 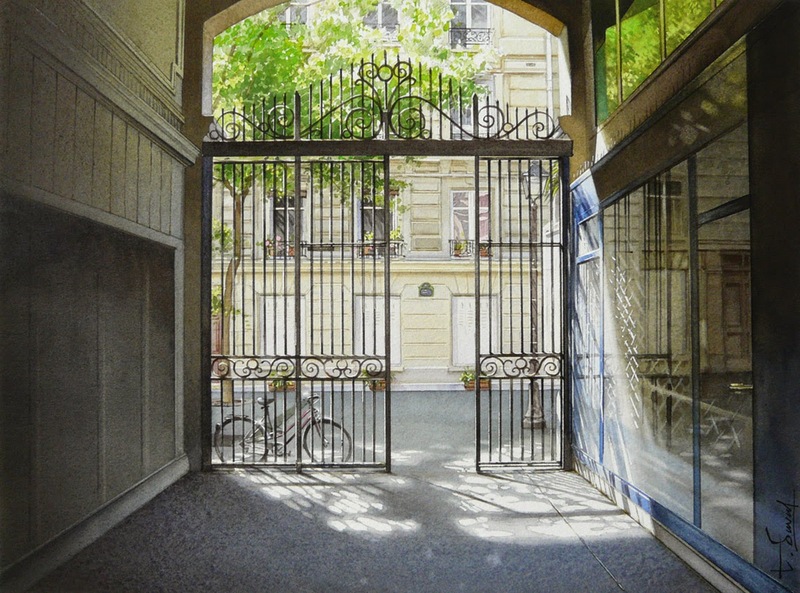 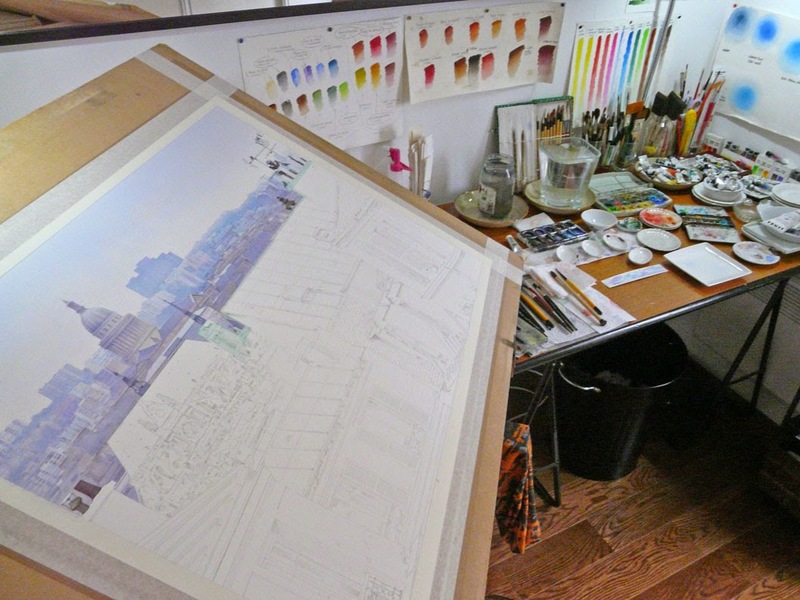 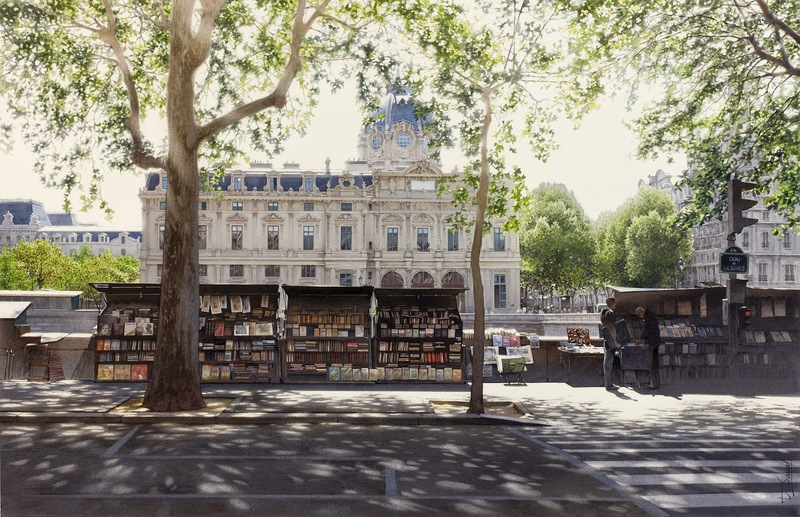 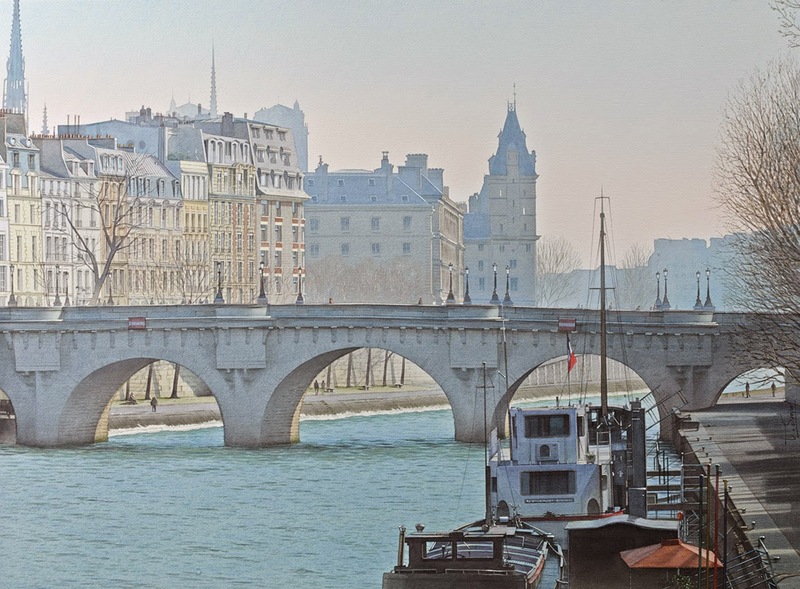 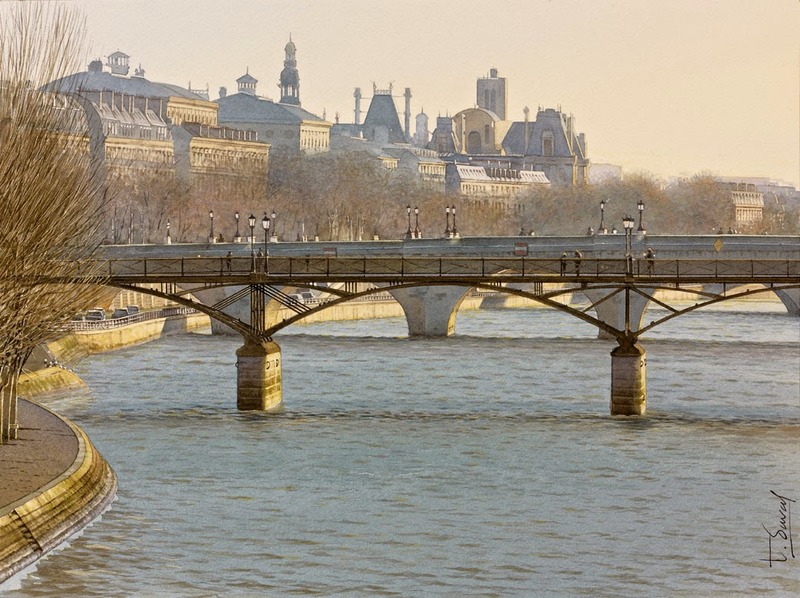 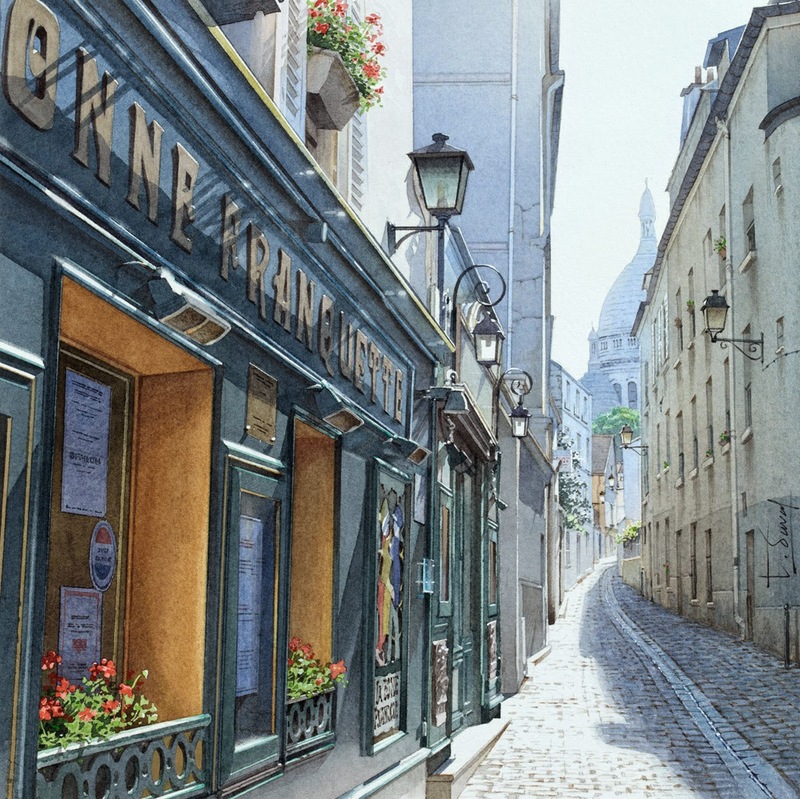 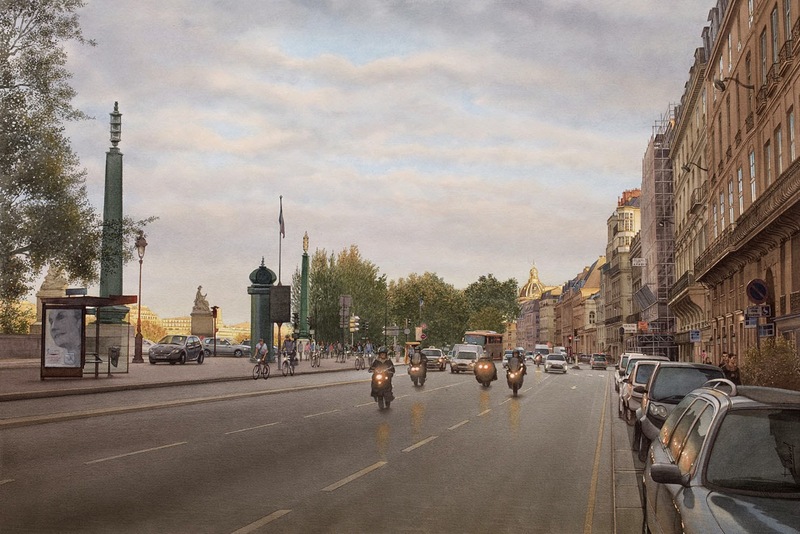 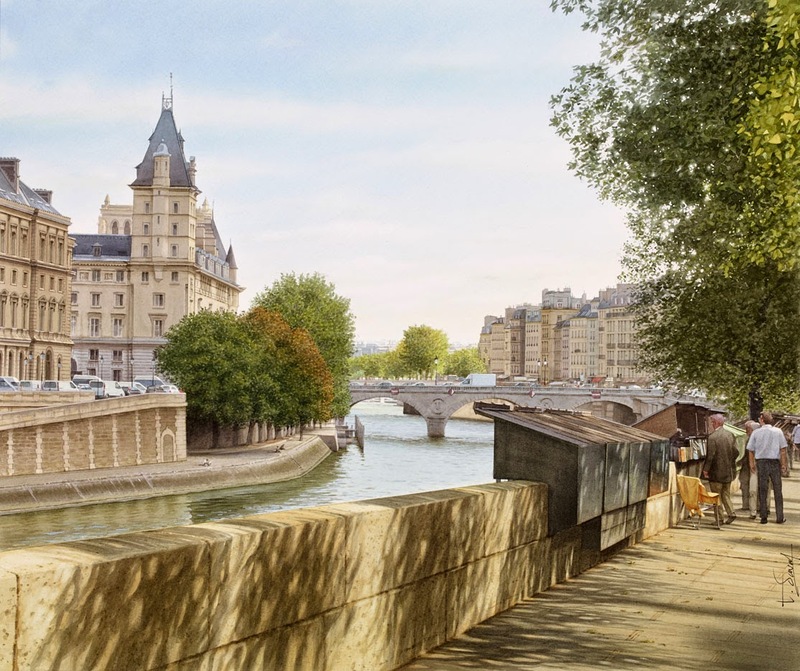 French artist Thierry Duval has a passion for arts that reaches back, from when he was a child. 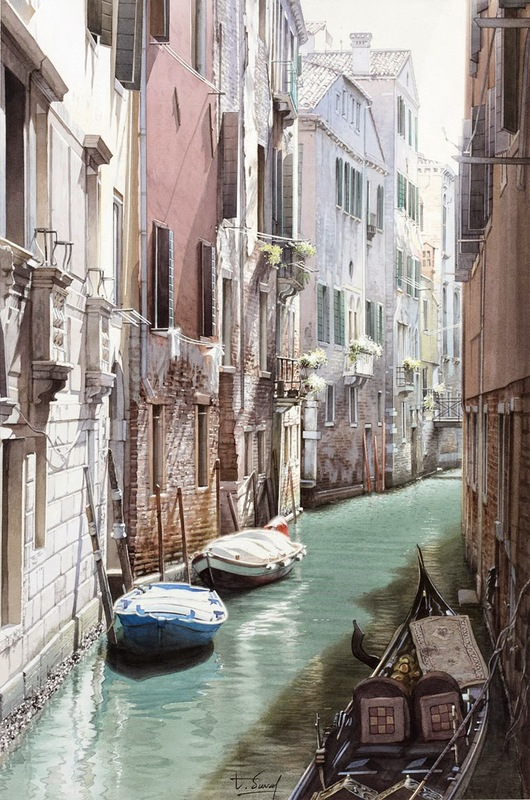 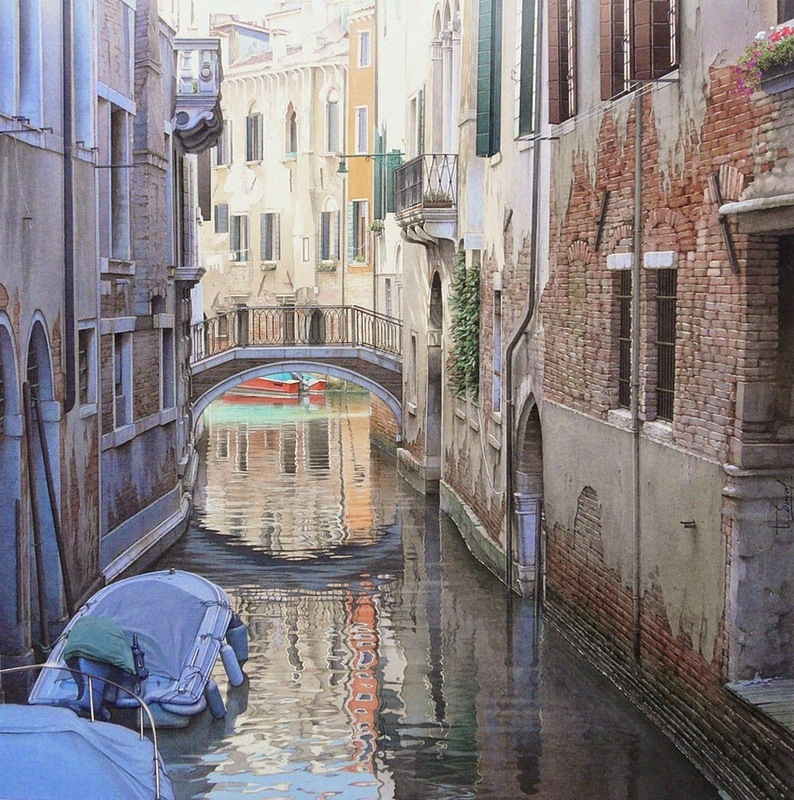 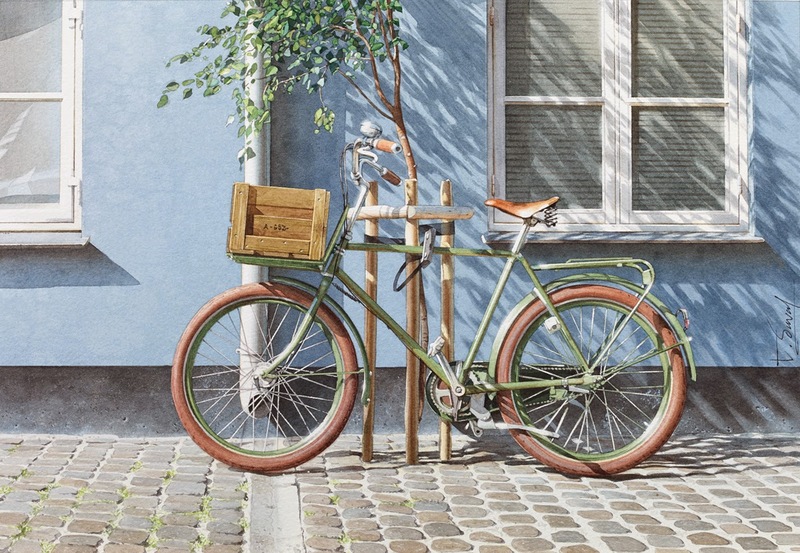 These amazing watercolours don't look like most of the ones we see out there, they have a definitive Photo Realistic look. 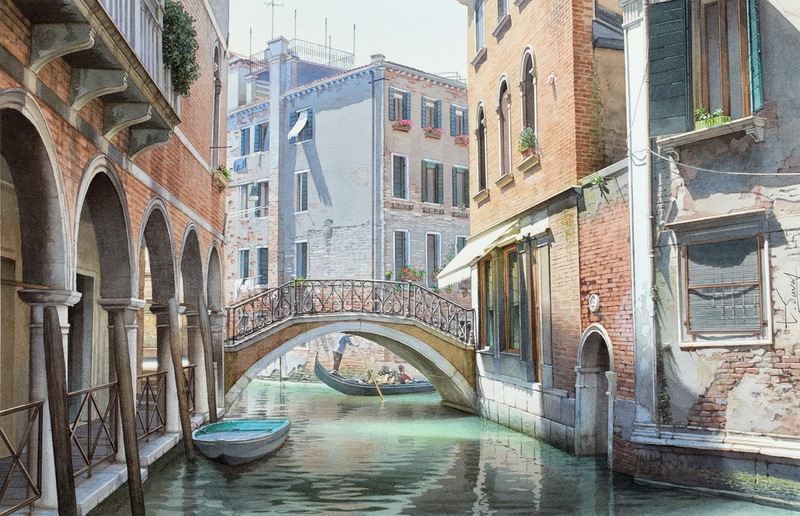 The other amazing thing about Duval's art, is the amount of detail he manages to inject into paintings that are not that big in size. 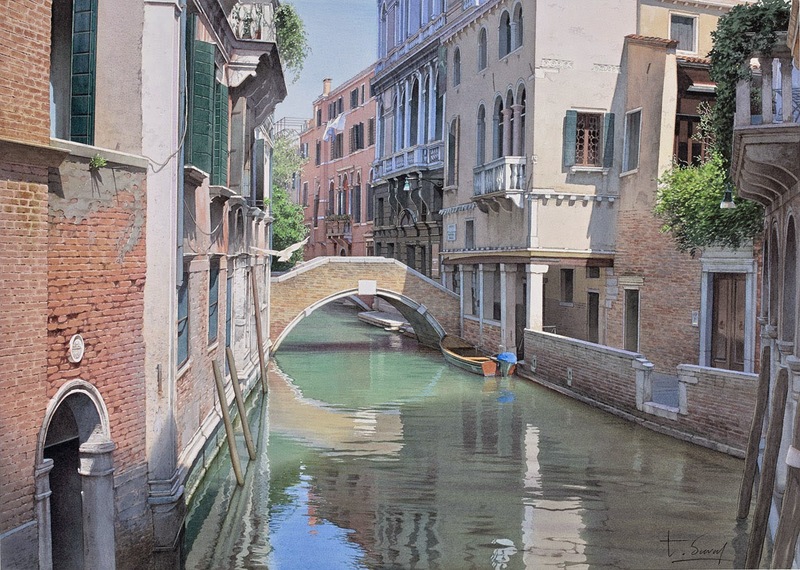 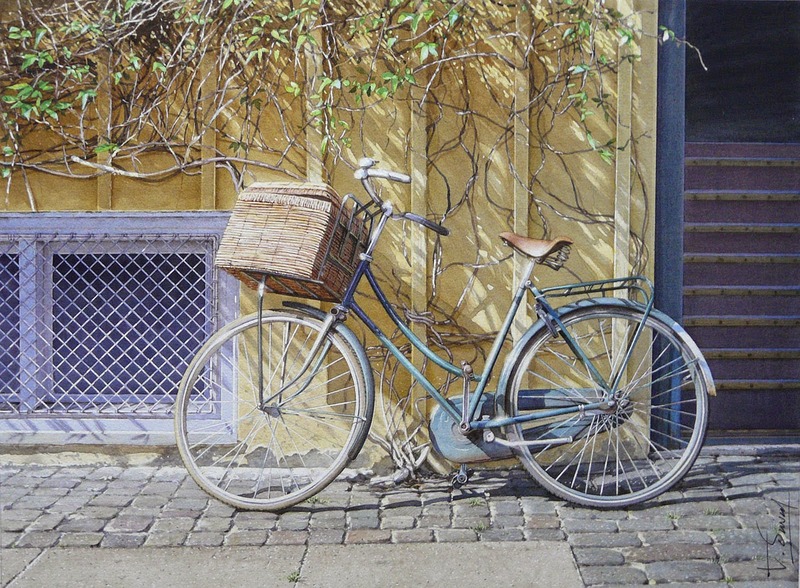 Amazing eye for detail and the capacity to make the watercolours reflect, lighten and darken his beautiful scenery, make these paintings look like, snippets of real life. 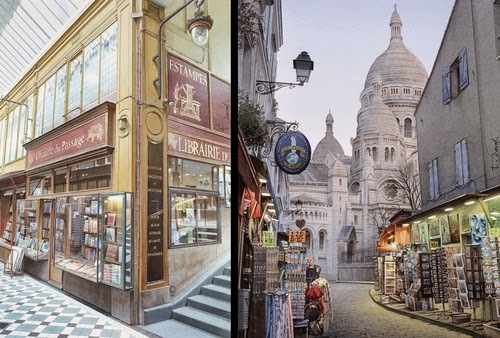 If you look at the "The lights of Montmartre" above or below the bigger scale one, Duval reproduces the art pieces for sale out of the shop. 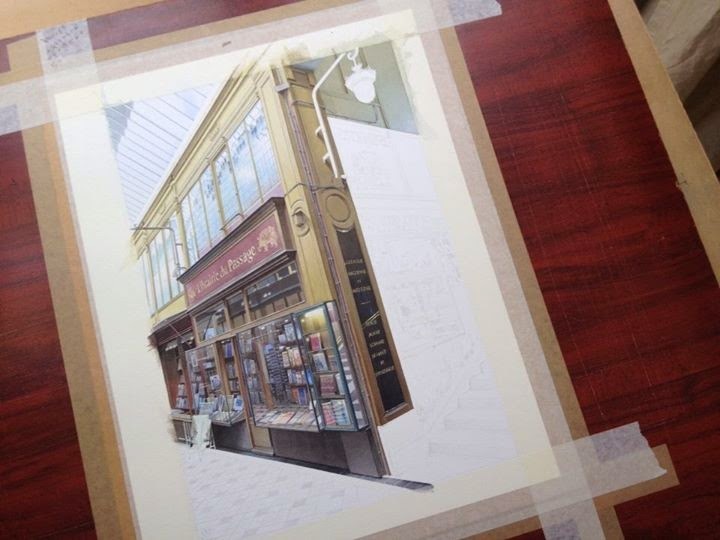 Passage of the Library WIP (work in progress). 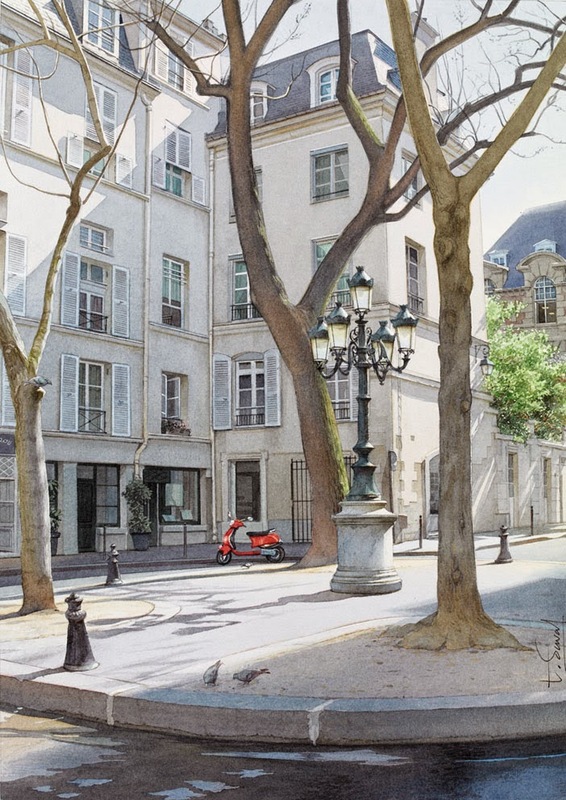 4 pigeons, 1 scooter et La Place Furstenberg. 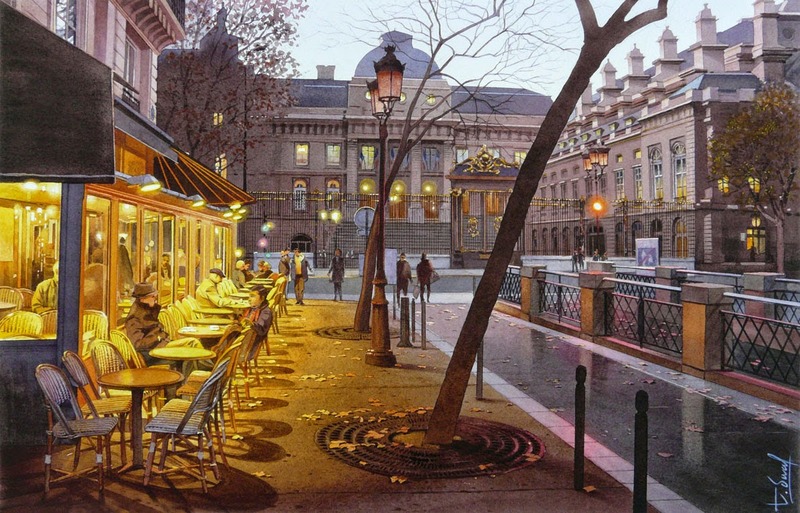 Autumn Night of the Palace of Justice. 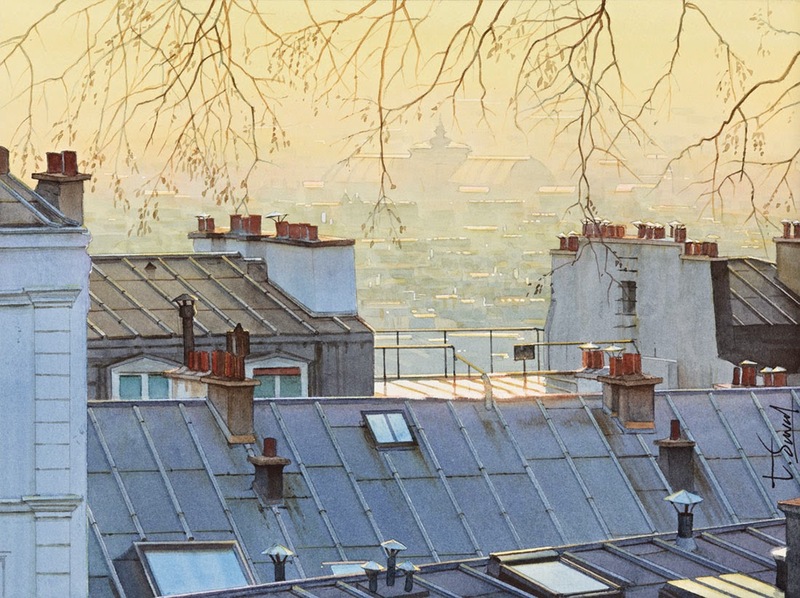 Dusk on the roofs of Paris. 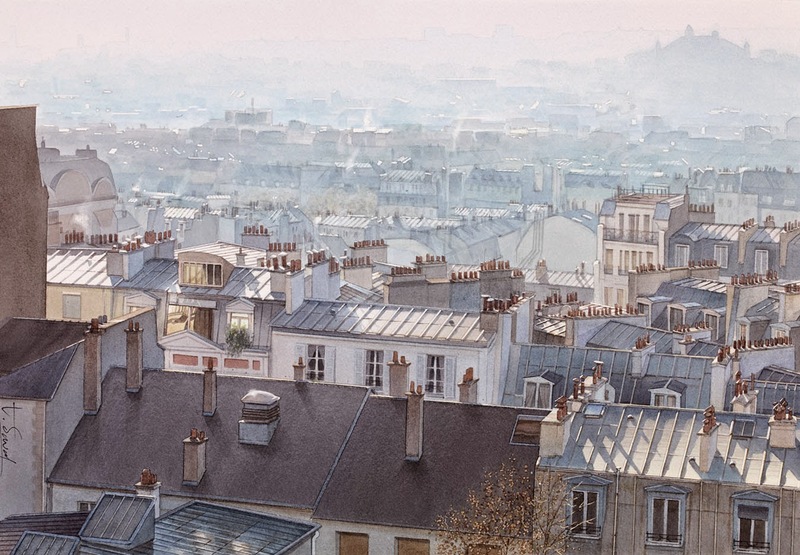 Heat haze over the rooftops of Paris. 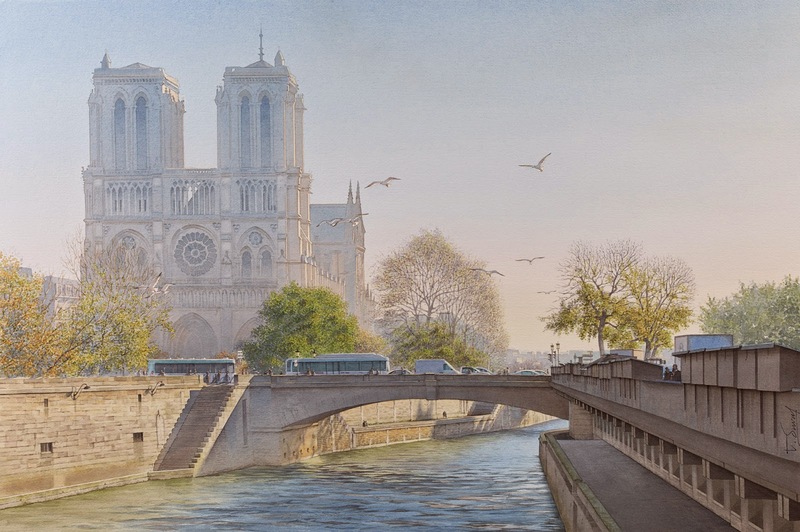 In the shadow of St Louis Island. 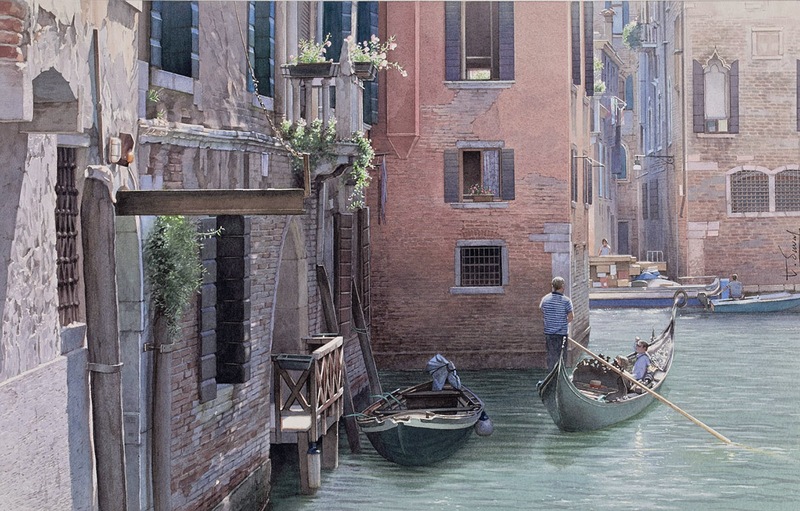 In the shadow of Venice. 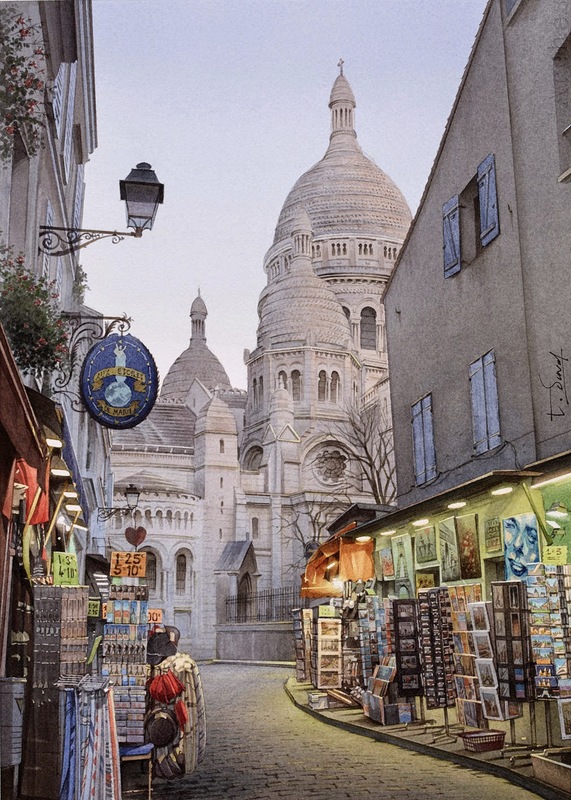 Montmartre - A good Franquette. 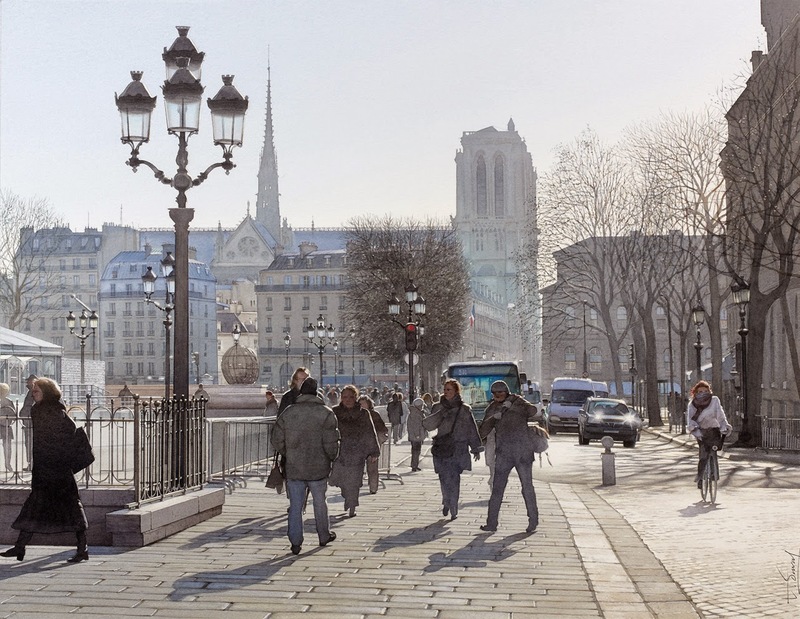 Morning on Notre Dame de Paris. 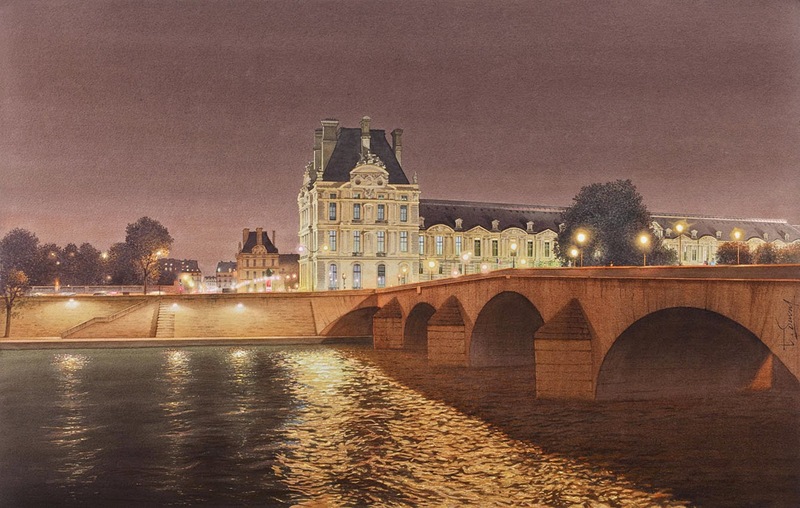 Night on the Louvre and the Pont Royal. 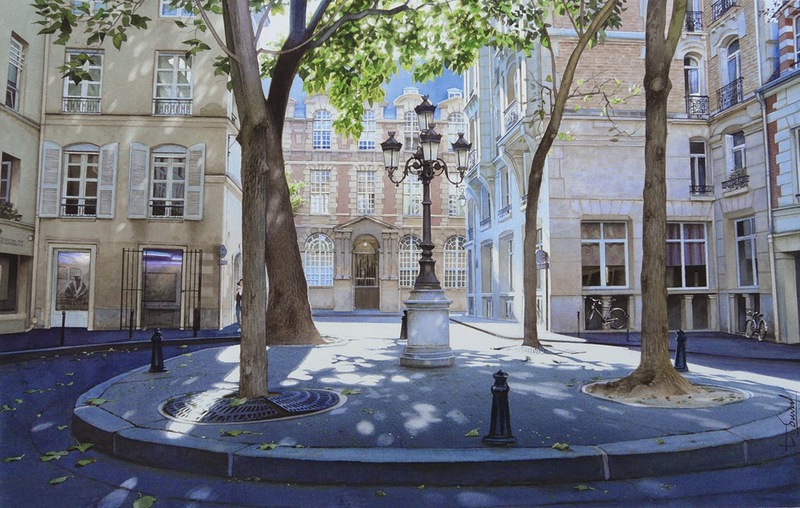 Sunny winter in the plaza of the town hall in Paris. 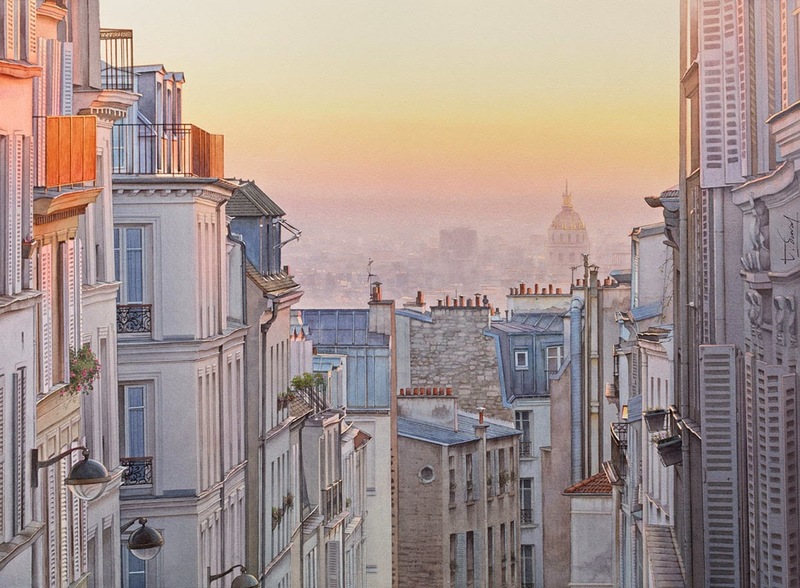 Sunset on the cobblestones of Montmartre. 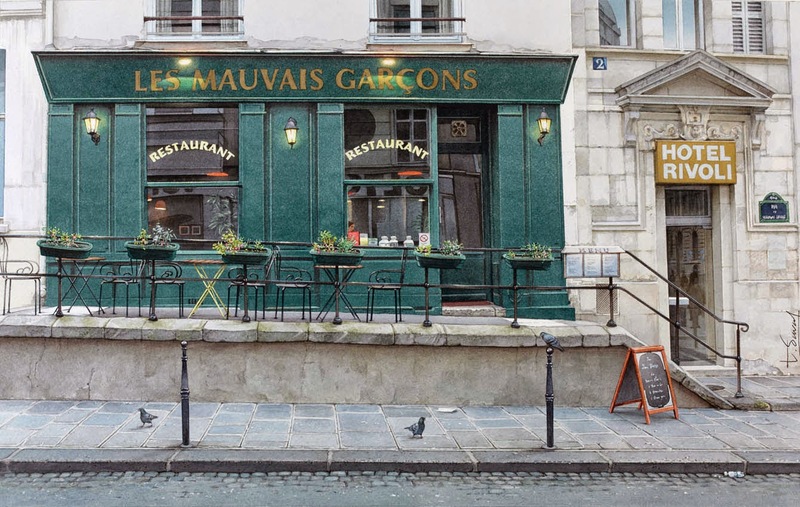 The bad boys and three pigeons. 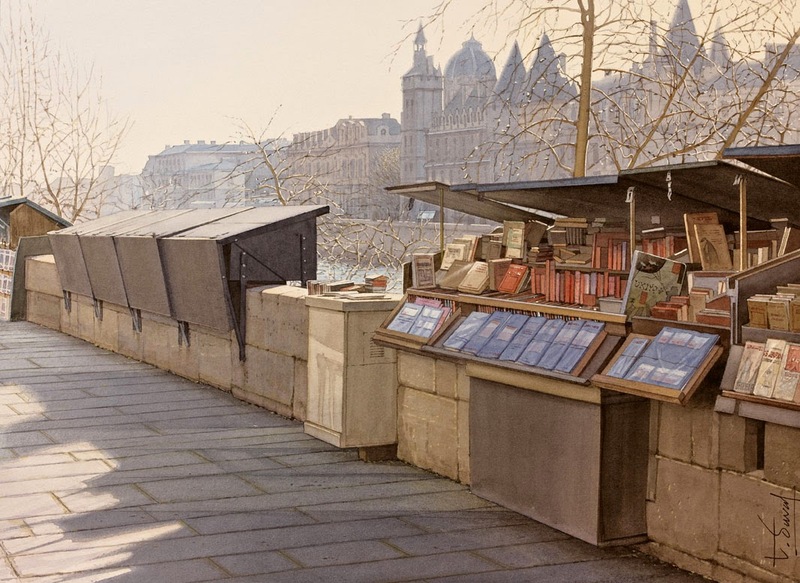 The booksellers and the Conciergerie. 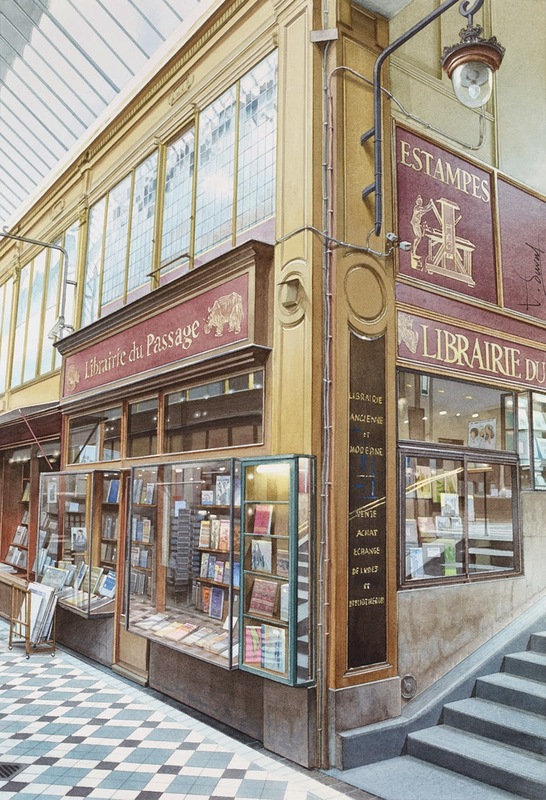 The Commercial Court and booksellers. 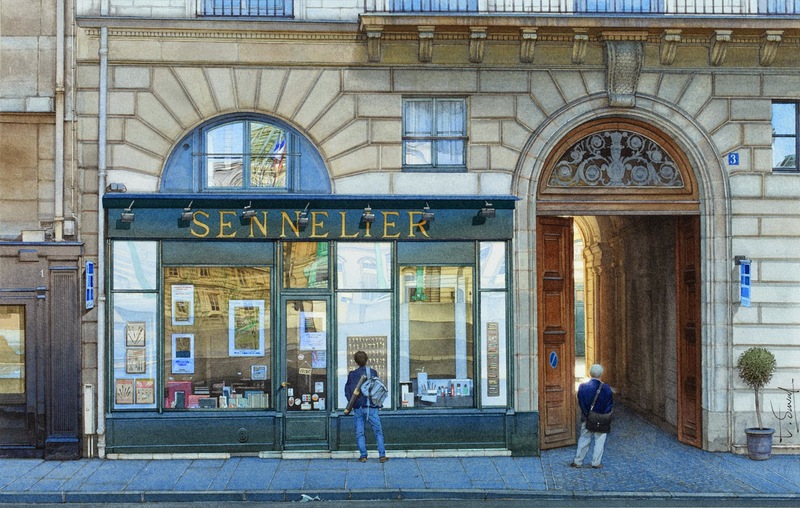 The Sennelier store or the cave and of the artist. 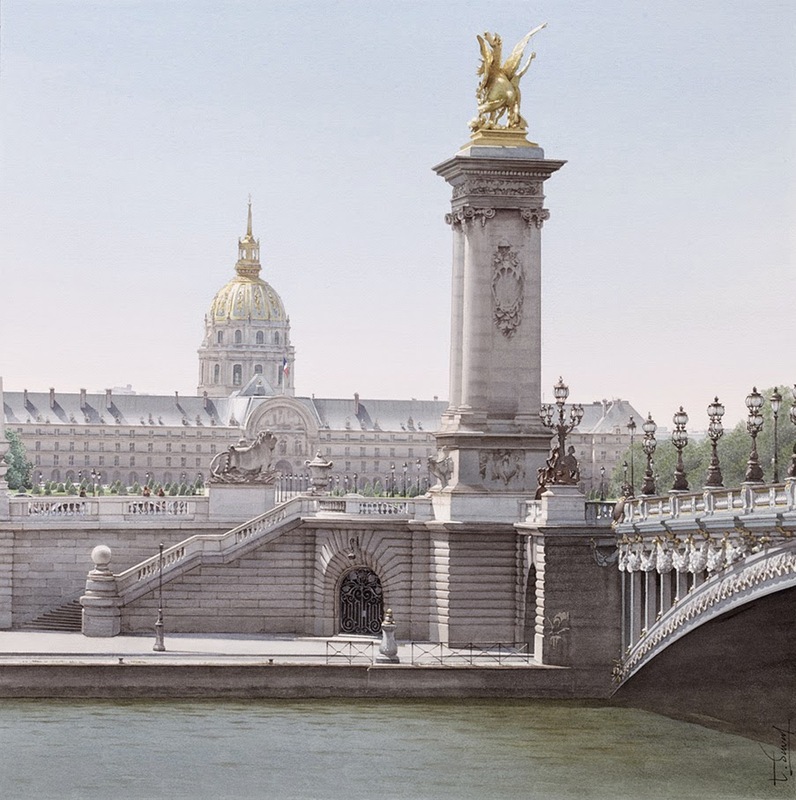 The small bridge of the great Paris. 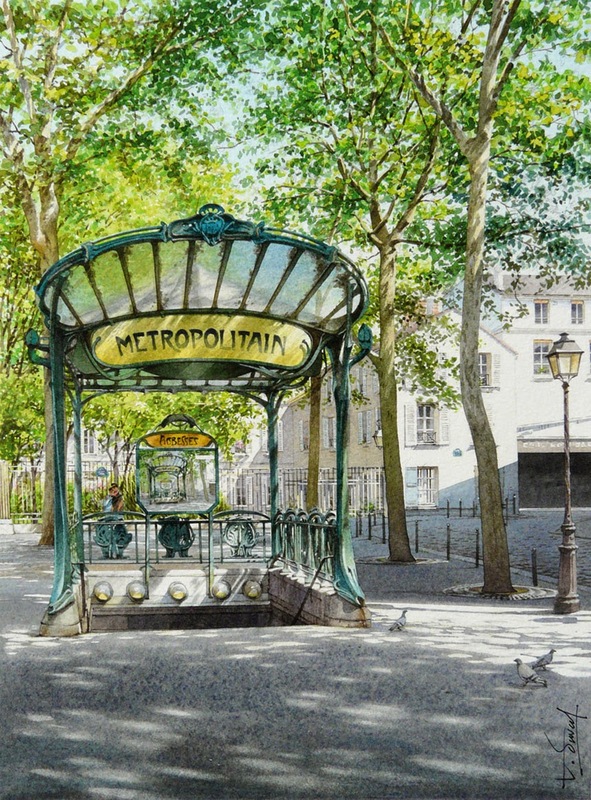 Underground Stop - Mise en Abyme des Abbesses. 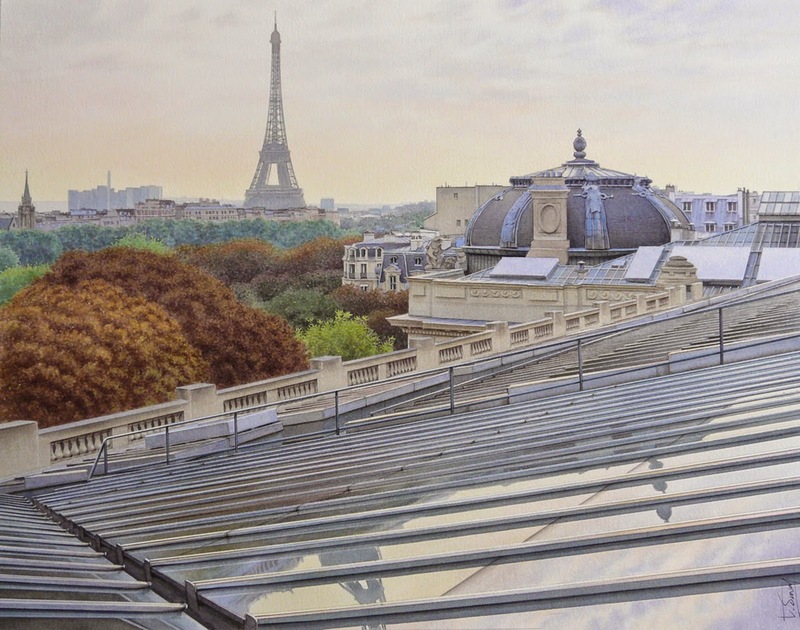 View of the Grand Palais in Paris. 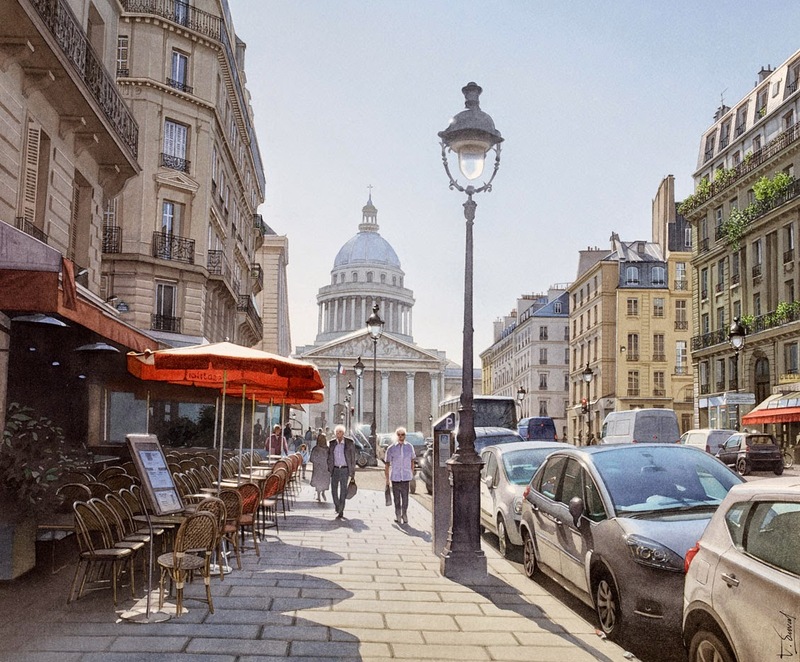 Bright on the Pantheon and the Rue Soufflot.